In 1975, DC COMICS released the first issue of a new bi-monthly comic by JOE KUBERT, called simply TOR. I bought it, but I was unaware that five subsequent issues followed in it's wake until many years later, though they were merely reprints of 1950s stories featuring the character. I couldn't tell you how long I kept that first issue, but sometime in the late '80s or early to mid-'90s, I obtained a replacement for it, which I retain to this day. And, just last year, in October, I managed to acquire issues 2-6 in that '70s run. However, in 2008, DC released a new, six-issue series of Tor, again by Joe Kubert, and I bought that first issue too, meaning that I then had two first issues of the same character, divided by 43 years. Well, guess what? Today I received issues 2-6 in that run also, meaning that I've now completed the set just over ten years after it first came out. Believe it or not, there was also a four-issue MARVEL/EPIC series of Tor in 1993, but I'll probably not bother with that as I didn't know about it at the time, and only learned of it back in October. So, as I never knew about the Marvel series and never bought the first issue back in '93, I can live without them. Having said that, if they should ever come up at a reasonable price, I may indulge myself. After all, never say never. Not that you're interested in any of that, you're just here for the pictures. The Marvel series is well worth hunting down. I am a big fan of Kubert's earlier work though, and await the day when DC brings out a book on his 1940s work, in particular Hawkman. On my bookshelf I have a thin paperback edition which seems I only acquired a few years back, but must've purchased around thirty years ago. It's the Hawkman stories by Gardner Fox and Joe Kubert that were first presented in The Brave & The Bold comic back in the 1960s. If you don't already have it, you may be able to track it down on eBay, S64, though I imagine the tales have been reprinted in a new volume since. I'm not so keen on the '40s stories, but I'd imagine that they've also been reprinted, so it might be worth your while to do a Google search. I probably will get the Marvel Tor eventually, but I'm not going to chase it - too many other things to get first. Does Kubert do the interior artwork as well? In the 2008 series that is. Yup, all new Kubert Tor, TD. I bought that 2008 series at the time and remember really enjoying it. There was a BatLash series around the same time that was very enjoyable too. I think Kubert can be a bit plodding in his scripting at times, DS, but I quite enjoyed the series - though Book 2 was slightly confusing as it seemed to jump from what appeared to be a recap of an earlier event to the present, but may not have been. I'll have to look at it again. Sad ending. I bought the Tor comics back in the 70's because I liked Kubert's art but wasn't impressed by the stories. What would have been a great combination would have been Kubert illustrating the Pelluidar stories by Edgar Rice Burroughs. Only the first issue of the '70s series was 'new', T47, the other five were reprints of '50s tales. Maybe that's why they didn't grab you. Did you like DC's version of Pellucidar drawn by Alan Weiss in the '70s? I picked up Tor #1 in the 70's, but never saw another issue of that series....distribution was a bit spotty in my neck of the woods around the mid-70's, just before it stopped altogether. I will have to track down the new run from 2008. 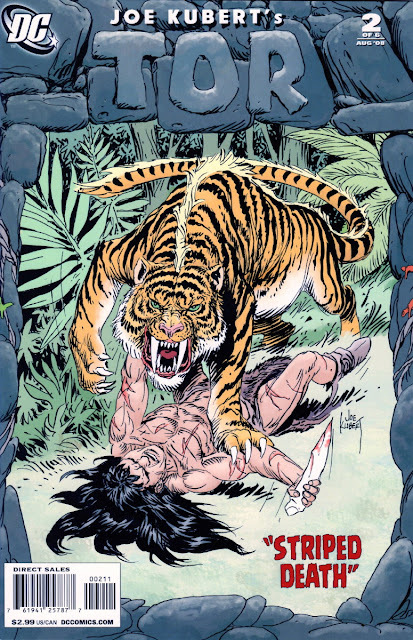 I've always loved Kubert's art, especially his run on Tarzan. 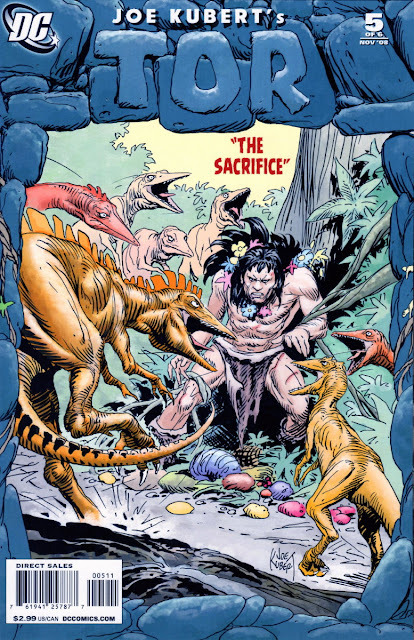 I personally loved DC's Pellucidar series, but the first few issues with Weiss were my favorites. 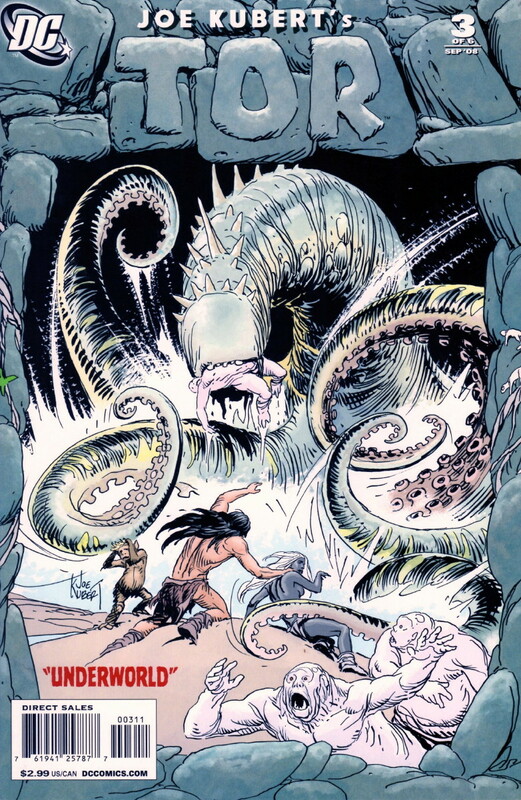 Actually, I was really into both Pellucidar and John Carter (with Murphy Anderson art) and the subsequent changes to other art teams was quite jarring because the styles were so different. I saw both runs to their completion, but it was with a bit less enthusiasm. 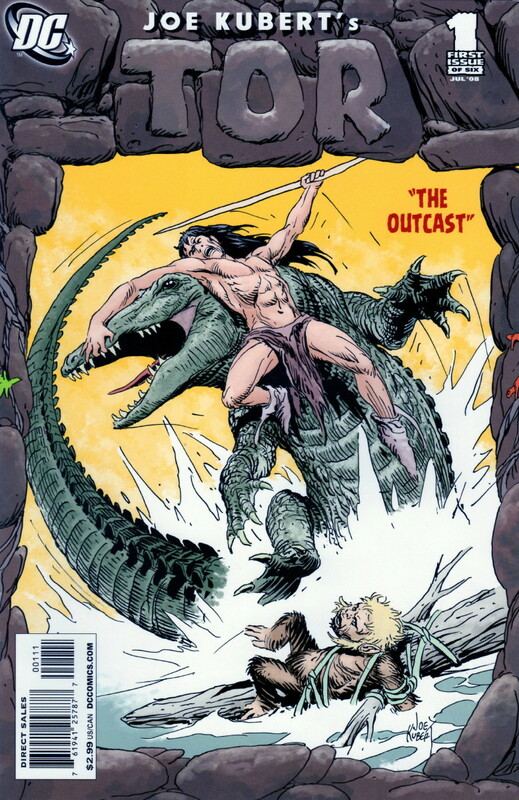 I felt the DC Pelluidar stories would have been better by Kubert who seemed to have a more natural feel for Fantasy. 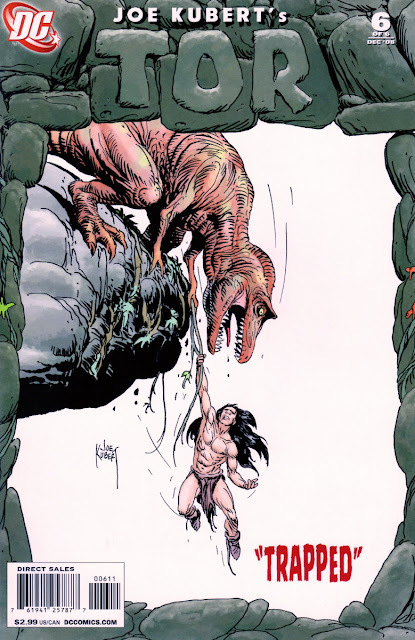 Barry Windsor Smith also added more to Conan than any later artist on that strip, it was more creative and seemed a natural mix. Later artists just seem to treat it as a job, no personal connection to the story. A lot has to be said for Roy Thomas scripting at Marvel then. Same with me as regards that '70s #1, G - don't recall seeing any subsequent issues at the time, though I've got all six of them now. I wasn't so keen when Murphy Anderson was replaced on John Carter either, but I only ever saw the first episode of Pellucidar (in Korak #1) until I acquired Weird Worlds many years later. 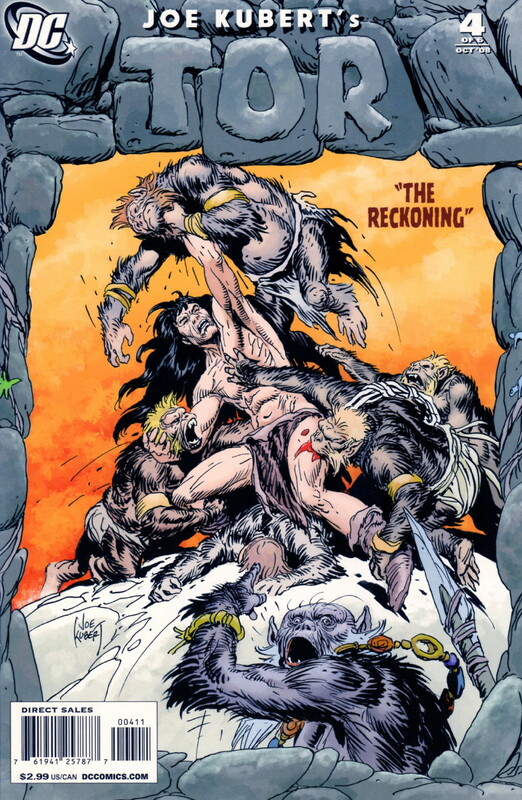 John Buscema enjoyed working on Conan more than just about any other strip he ever worked on, T47, and I'd say his Conan looked more like a savage barbarian than Smith's. However, BWS's style lent itself more to the 'fantasy' side of the stories and was much more ornate, so something definitely left the strip with his departure.